From start to finish, the so-called “tallest, fastest and wildest hybrid coaster in the world” does not disappoint. Along with nearly everyone else at the media preview, I’m happy to say that it is my new favorite ride at Cedar Point— it’s clearly the best ride in the park. 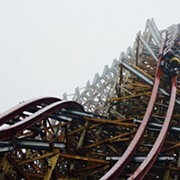 What makes Steel Vengeance so good? Well, its 10 world records aren't too shabby. However, its wildness is what puts it over the top. I was almost constantly thrown out of my seat as the ride whipped from side to side over banks, hills and inversions too. 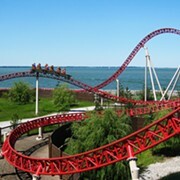 Some roller coasters compromise their smoothness in order to complete maneuvers like these. 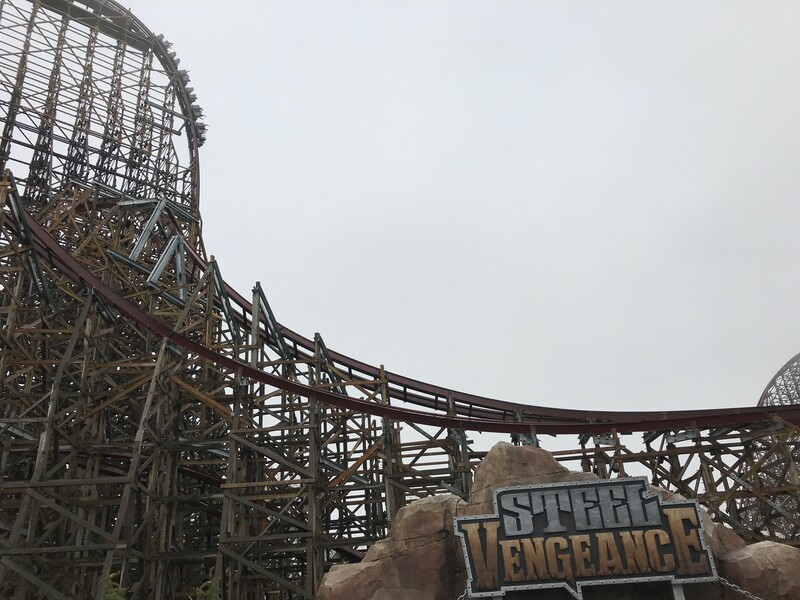 However, Steel Vengeance is perhaps the smoothest ride in the park, thanks to its steel track mounted on top of a wooden structure. On top of this, Steel Vengeance is relentless. Whenever the ride seemed to be over it just kept speeding through the inside of the wooden structure, employing more and more crazy maneuvers. 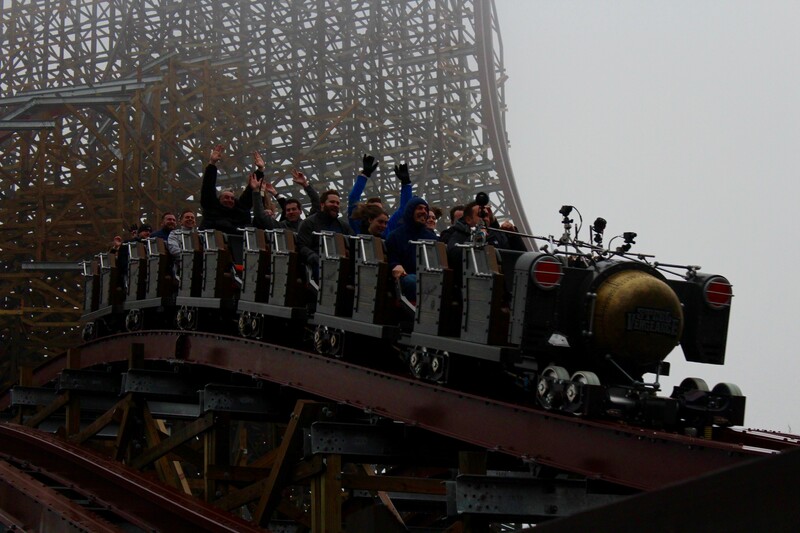 While slightly slower at 74 mph, Steel Vengeance actually has a longer ride time than fan favorite Millennium Force, at 2 minutes and 30 seconds (Millennium clocks in at 2 minutes and 20 seconds). Its towering first drop stands 40-feet higher than its predecessor Mean Streak at 205 feet. How Cedar Point was able to transform the infamous Mean Streak into something so perfectly executed is utterly outrageous. After announcing the closure of their wooden coaster Mean Streak in 2016, speculation ran rampant that a hybrid coaster was in the works. 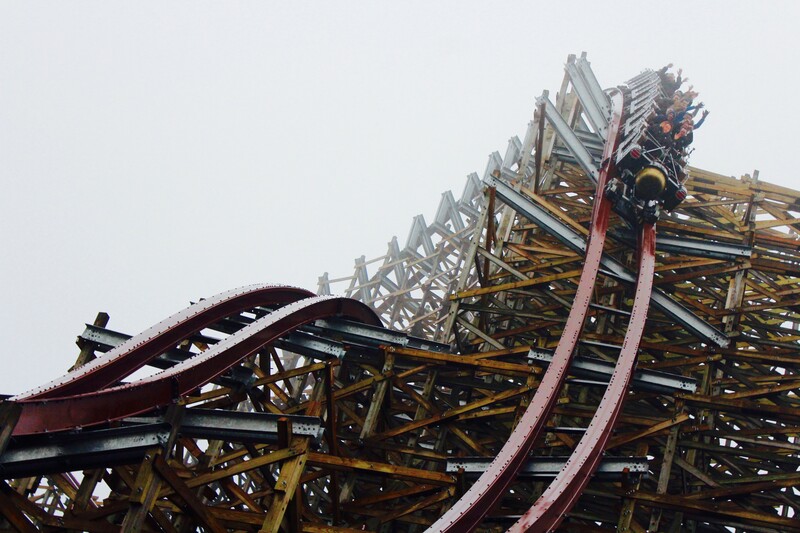 More than a year later, Cedar Point finally revealed its Steel Vengeance’s plans. Since then, coaster enthusiasts and members of the general public alike have waited in anticipation for their chance to ride Steel Vengeance. That opportunity officially comes May 5, during Cedar Point's opening weekend. The final results are well worth the wait.